As the soccer world is still exhaling after the USA’s thrilling 2-0 semifinal victory over Germany, it is worth taking a moment to look backward at the tournament before the inexorable hyper-focus upon this weekend’s final against either Japan or England. The Women’s World Cup has been a showcase of brilliant, nail-biting soccer: the best of the beautiful game. It has also been an exercise in seeing just where we are on the question of the sport’s global development: an issue that wraps together questions of uneven international resources and imbalanced national gender politics. What we can see is that, to an even greater degree than the men’s game, there are profound inequities in development and attention between regions of the globe: North America, Japan, China, and Europe flourish, while countries in Africa and Latin America suffer. They suffer from FIFA neglect and conscious disinterest amidst their own country’s soccer leadership, some of which only recently have taken the first halting steps toward taking the women’s game seriously. Yet the Women’s World Cup has revealed something else as well: the heroic ability and drive from the teams on the African continent to achieve in spite of the obstacles laid out in front of them. They may have been knocked out, but their progress has been profound and in many respects is the story of this tournament. 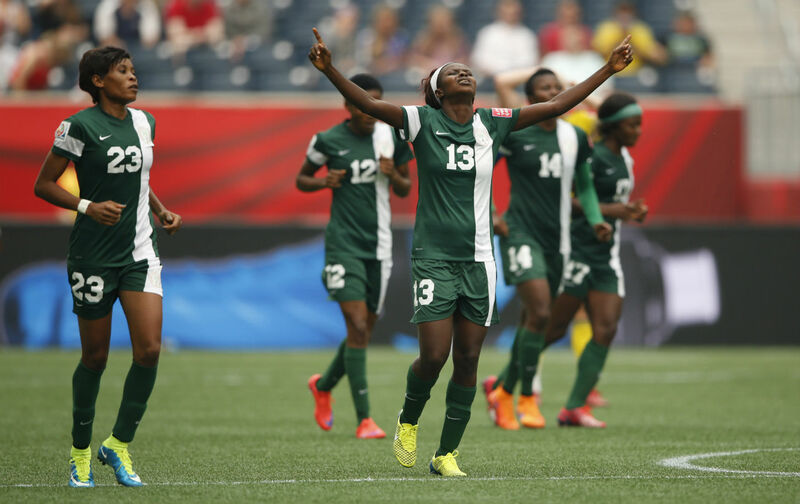 The three African squads, the Ivory Coast, Nigeria, and Cameroon, left it all out on the field. Cameroon, les lionnes, managed to get through to the knockout stages in their first World Cup appearance and their most indelible player, Gaëlle Enganamouit, who plays professionally in Sweden, proved to be a force, leading her team to a dominating 6-0 victory over Ecuador. Then they were sent home only after a 2-1 loss to Japan, the defending Women’s World Cup champions. Nigeria perhaps did not live up to lofty expectations, but the fact that there were expectations that could be described as “lofty” is a story unto itself. Ranked 33rd in the world, they opened with an outstanding performance, tying 3-3 with Sweden, the world’s fifth-ranked team. The energy emanating from 20-year-old Liverpool striker and BBC Female Footballer of the Year Asisat Oshoala was unmistakable and augurs great things in the years to come. But it was not enough to help the team advance. Further evidence of what reproduces this “vicious circle” is seen inside the countries themselves. The Fédération Camerounaise de Football backtracked on promised World Cup bonuses for the players. In addition, of the 14 professional women’s teams in Cameroon, eight went on strike at different points in 2014 in protest of low stipends. FIFA’s continuous smorgasbord of corruption and scandal can exhaust even the most ardent soccer enthusiast, which is why the women’s game and this World Cup are refreshing reminders of what is still a wonderful and unmarred game. In order to nurture the players and continue to grow the sport, we need to make sure that the investment is real and the progress continues. The beautiful game deserves more. In the words of the lion-hearted Clementine Toure, “I want to make an appeal to not only our federation, but to all of Africa, that women’s football has arrived. We believe in our women. We have a good team. Today the Ivory Coast showed it deserves a place in the World Cup. But we also deserved to be better prepared. We didn’t deserve to be humiliated.” The Ivory Coast, and all of the women’s teams in the Global South deserve not humiliation but resources. This World Cup has shown that if the economic playing field could be leveled, the actual playing field could delight and thrill the world to an even greater degree than it has already done.